We have been chosen as a permanent and forever family for Baby Sister. Loren and I talked through the possibility, hoping we could add permanently to our family via adoption, and hoping that could be Baby Girl. We officially put ourselves in the giant pool of families hoping to adopt her and began waiting, knowing full well only God could move the mountains to place her in our family. 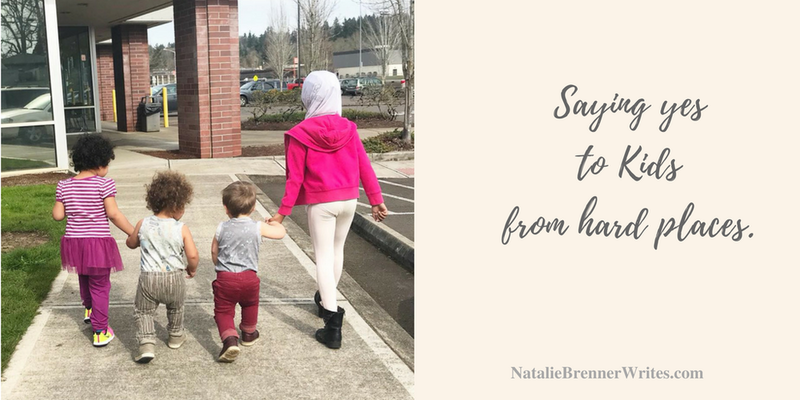 Our home is full of little people, we are a current foster family, and many people who want to adopt aren’t willing to foster. The reality is there was a low chance of being chosen because the fear is that if you fill up a home with permanent children, the family will stop fostering. Then there is just the very REAL and logical reality that our boys are both two years old, and we have four kids in our home....that's real and logical and reason enough to not be chosen. We prayed and hoped and held loosely. 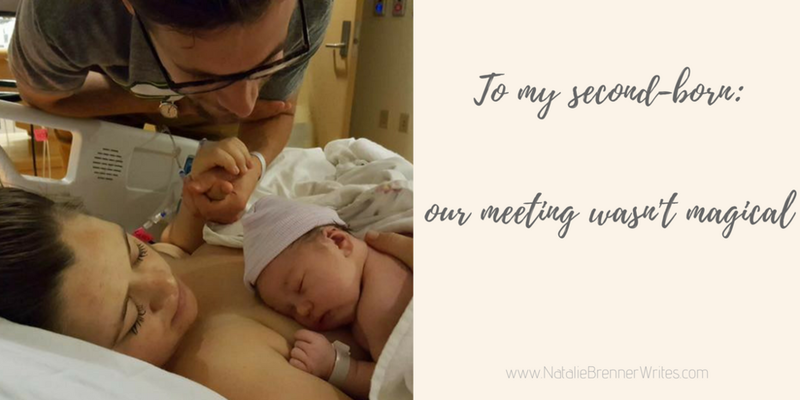 I found out I was pregnant again, and we were thrilled about the potential of adopting while pregnant again. How unique and special would it be to give our four permanent/forever children a similar story!? How it would instill in each of them how much they were wanted!! Unfortunately, I miscarried. We still waited and hoped to become Baby Girl's family. We waited and waited to hear about being chosen or not. I began cleaning parts of our house like mad, purging all of our junk and unworn clothes, and I suddenly realized I was nesting. 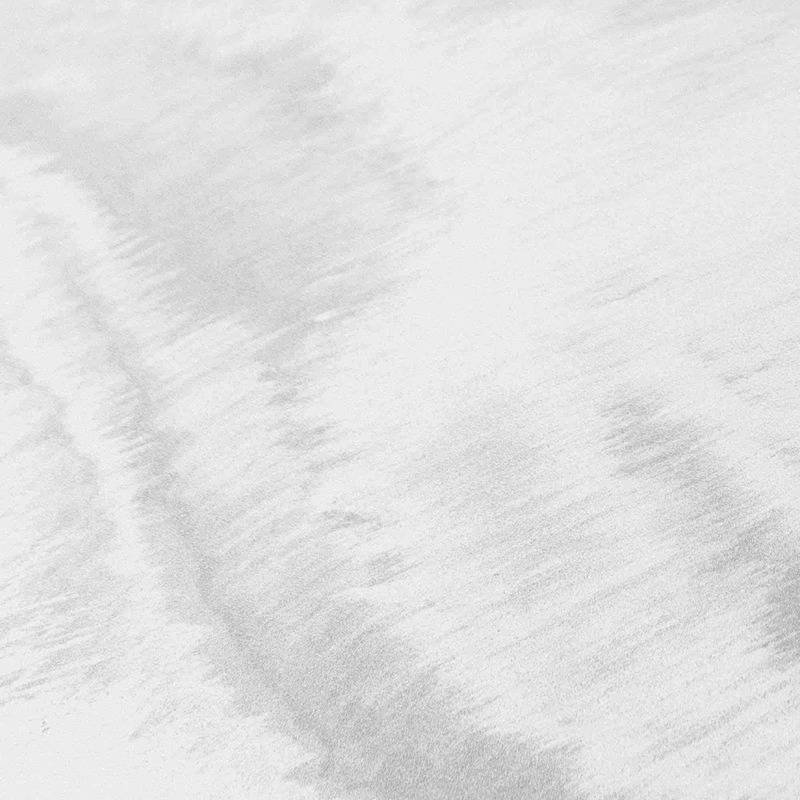 I'd pray while I purged, asking Jesus to make space for Baby in our home and hearts and life...create the margin she needs and move mountains to graft her into us and us into her. Around 60 families put in their home study to adopt and be her family. That is a lot of families. I felt sure we wouldn't be chosen. Loren was sure we would be. When we received an email saying we were in the top ten families, we were blown away, and also terrified of being kicked out of the smaller ring. It felt so much more intense being narrowed down into the final ten. I found myself digging into my journal with a pen, shedding some tears as I prayed for surrender and hope all at the same time. After an email interview, we were notified the next week that we made it into the final three families being considered! WHAT. We were in shock, and excited and hopeful, and also praying our heads off. Praying that He would move mountains to make us hers, praying we would find peace and strength if we weren't, praying for stamina and grace and wisdom. I knew without a shadow of a doubt that no matter what, He was with me and He was with her. He was with the baby we had grown to adore and love and hope for...and that was enough for me. By the next week it was between us and one other family — we had phone interviews set up with her current foster mama and caseworker. We of course SO BADLY wanted to be chosen, but simultaneously felt complete peace over the situation. Prayer is really cool like that. Thursday July 26 around 6:30 pm, we got The Call that would again change our lives forever: we were chosen to be Baby Girl's permanent and forever family. We are bringing home Baby Sister and we are so excited!!! What a privilege it is to be hers, to advocate for and serve her, to help her find her voice and place in this world. The boys have known her most of her life; they LOVE her and you should hear them say her name. 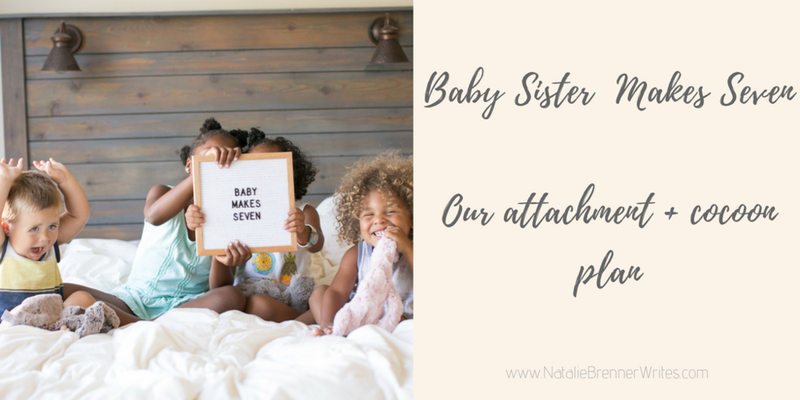 Our girls adore her too and ironically have been asking for three months if we can have a baby sister in our house...little did they know, we were praying for a specific baby sister! We are all bursting with joy and excitement. The kids all ask about 80 times a day, "Is Baby coming home today?" At the same time, we carry the very real loss Baby Girl is experiencing and will carry with her for the rest of her life. She will be losing the opportunity to be raised by her biological mom or dad, and she will also be grieving the loss of her current foster mama (and family) as her main caregiver, who she is very, very attached to. Baby Girl will soon be in the throes of grief, even at less than a year old. By the end of August, Baby Girl will move into our home and remain with us permanently. Until then, we will be slowly transitioning and spending more and more time with her. We have never watched anyone up close adopt in this way, so it is all new to us and we are so humbled to be walking this journey. We are setting up our family cocoon and attachment plan! Not into reading? Here is a video about cocooning and attachment! We are not pulling away from community or family, we just need you all in a new way. We cherish our families and community and want Baby Girl to know the special bonds and closeness we and our kids have with grandparents, aunts, uncles, and close friends — the very best way to foster those attachments and special relationships is by first teaching her what it means to have us as her mom and dad. The first few months will be critical for his later establishments of healthy, attached, loving bonds with grandparents, cousins, and friends. We are so beyond grateful you’ve taken the time to read this and understand our process. We can’t tell you how thrilled and humbled we are. Baby Sister, we cannot wait to bring you home. Prayer is real and big for us. If you can pray for each individual child in our home, that would be awesome. Prayer that we would continue to have all the conversations we can, Loren and I, and that we would continue growing closer together. 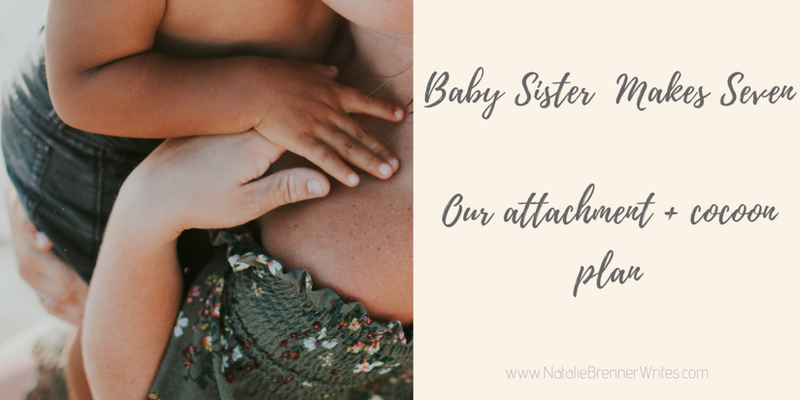 Prayer that Baby Sister attaches well and grieves fully as her tiny self needs to. Prayer for Baby Sister's family, both foster and family of origin — that they would grieve and find joy and hope and feel all the things they need to. Prayer that we can find a house with a yard to settle down into as a big family, in the outter southeast part of Portland. Prayer that our girls's case can move in the direction it needs. That their hearts can continue to heal. That God will fill in all the cracks, because there are a whole lot of them. Our big girls have healed and grown so much in six months and we are praying they continue on that trajectory. Prayers that they would continue to know how loved and valued they are in this family. Prayers that Baby Sister can know in her baby bones that she is loved, she is safe, she is home...even while grieving so so much. No asking questions that you don't need the answer to :) Not trying to be snarky! Just trying to be real and up front. 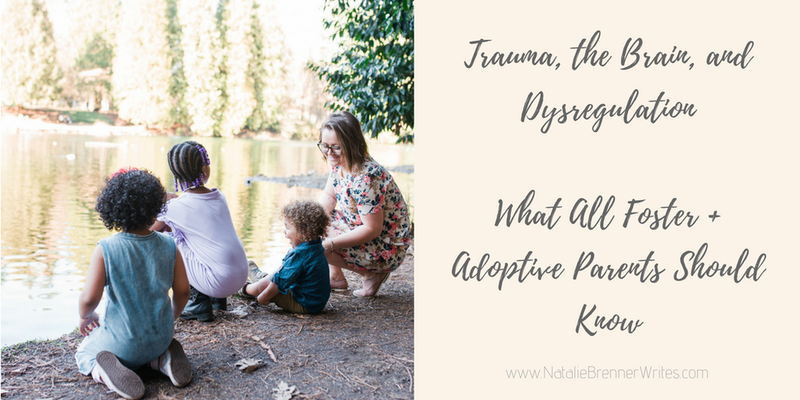 You don't need to know why she is being adopted, or where her birth family is, or what anyone's name is. You don't need to know anything except the fact that she is loved by so many...she is losing a whole lot...and we are the luckiest in the whole world to become hers. Any money sent to NatalieKBrenner@gmail.com via paypal or venmo will go directly towards all things Baby Sister. Wipes, clothes, car seat, etcetera! But also, we are totally not worried and know everything will be provided. We have zero baby girls clothes, but again, I am really not worried.